Festival of History 2012. Bringing the History of England Alive. 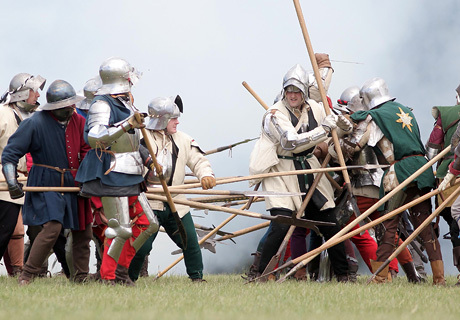 Bringing over 2,000 years of history to life, Festival of History 2012 is packed full of spectacular battle re-enactments, awesome combat displays and celebrations of daily life through the ages. 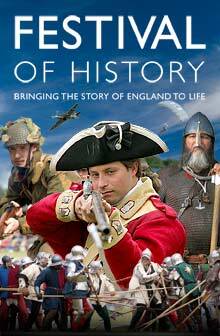 For the first time at Festival of History, re-live the atmosphere and tension of one of England’s most famous conflicts, and witness the making of the most famous date in our history. See the last bloody battle of the Wars of the Roses brought to life, as the Tudor age begins and Henry VII takes the English crown. We’ve a surprise in the skies to help our heroes on the ground in a World War Two battle re-enactment. A favourite with all the family, enjoy this truly spectacular show of unparalleled horsemanship and skill. Witness the might and power of the Roman Empire, with a trip back to the 1st century AD. A firm favourite returning for 2012, cheer on your champion in the 15th century full-contact joust. In the year of the Bicentenary we remember the epic conflict, fought on land and sea between the new United States of America and the British Empire. Gladiators! – Are you ready? With awesome hand-to-hand combat displays, our Gladiators keep the ferocious ancient sport alive. And there isn’t a ‘travelator’ in sight! Edwardian Falconry – Marvel at the breathtaking speed and grace of falcons in flight, learn about the history of these magnificent birds of prey and their use throughout the Edwardian era. Second World War Vintage Fashion & Beauty (NEW!) – Fancy a new look? Pick up some wartime tricks and tips at these new demonstrations of fashion from the ’40s. First World War Trench Experience – Extended for 2012, experience what life would have been like in the Great War in the recreated First World War trench. Festival of Historical Writing – Back by popular demand! Family Zone – From creating giant historical street scenes in the Family Activity Tent to sandcastle building on the Victorian Beach, there’s plenty for all the family to enjoy together. 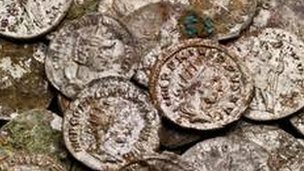 After hunting for buried treasure for three decades – and not finding a great deal – even the most diligent of us might have given up. But not Reg Mead and Richard Miles. The two amateur metal detectors kept up their search of the same area throughout the decades and have finally struck gold – or rather silver. They are thought to be from the first century BC and were found buried 3ft deep under a hedge in a farmer’s field on Jersey. Two thousand years ago the Channel Island – which remains a popular spot to stash large sums of money – was a refuge for tribes fleeing what is now northern France from the invading Roman armies. As the legions of Julius Ceasar drew closer, the treasure is thought to have been buried by a Celtic tribe called the Coriosolitae, in the hope it could be dug up once the danger had passed. And there the coins – packed in clay and weighing a ton – have remained undisturbed until last week. The men who discovered them, Mr Mead, 70, and Mr Miles, a customs officer in his 40s, suspected treasure was in the area three decades ago, when they heard rumours a farmer had found some silver pieces on his land. 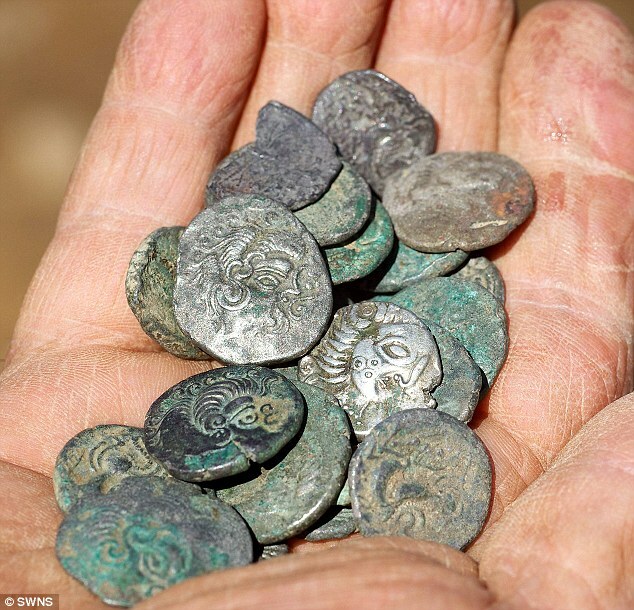 After a series of largely unsuccessful forays in the area, they unearthed a stash of 120 coins in February. ‘The machine picked up a really strong signal – so we immediately got in touch with professional archaeologists,’ Mr Mead said. ‘They started digging and we could not believe how many coins there were. ‘All of them were stuck together. I have been searching for things like this since 1959 and never found anything on this scale before. The location of the find is being kept secret. The previous record find was in 1935 at La Marquanderie in Jersey when more than 11,000 were discovered. Mr Mahrer added that the coins, which are called staters and quarter staters, weigh as much as a 50p piece. For a 200-year-old literary figure, Charles Dickens has much to say about the issues of today. So believes Queen’s University English Prof. Robert Morrison, who says Dickens — born Feb. 7, 1812 — was both a man of his times and a forward-thinker. In his many novels — including such classics as “A Christmas Carol,” “David Copperfield” and “Oliver Twist” — Dickens wrote about issues that still resonate today. Morrison says Dickens brought attention to child poverty, over-population, environmental degradation and greed. The popular storyteller’s 200th birthday is being celebrated Tuesday by admirers around the world. Morrison says Dickens, who visited Canada briefly while on a reading tour, was the most popular author of his day and known world-wide. Dickens was able to depict 19th-century Britain as a powerful country at the forefront of progress and technology, Morrison said. “There’s a tremendous amount of wealth and there are a whole bunch of people who are not sharing in any of it,” said Morrison. While a master at creating entertaining stories, comical characters and biting caricatures, the 19th-century writer also had his finger on the pulse of his times, says Morrison. VisitWiltshire has launched a new handy sized Wiltshire Downs & Market Towns pocket guide and map, offering helpful information as part of an on-going campaign to attract and retain visitors to the county. The 24-page pocket guide details a host of attractions and activities to suit all ages, with information about events and festivals, food and drink, history and heritage, and the great outdoors. The new guide is split into clear sections making it easy for visitors to find just what they are looking for. Amongst the highlights are events listings, suggestions for days out and plenty of pages dedicated to food and drink. There is also a map showing the location of each individual attraction and activity. As well as local circulation, the print run of 30,000 copies will be distributed proactively as part of VisitWiltshire’s marketing drive to bring additional visitors to the county. 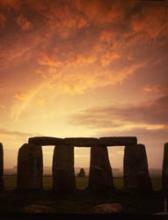 Additional content is available to visitors online at www.visitwiltshire.co.uk. Copies of the free ‘Pocket Guide and Map’ are available from VisitWiltshire by calling 0845 602 7323 or can be downloaded from the internet by visiting www.visitwiltshire.co.uk. Penelope Keith hosts To The Manor Reborn at AveburyA manor house in Wiltshire is to be completely restored for a new BBC One series presented by Penelope Keith. The four hour-long episodes will see the National Trust property Avebury Manor refurbished by a team of historians, experts, and volunteers. Keith, who played snobbish aristocrat Audrey fforbes-Hamilton in the sitcom To The Manor Born, will be joined by Flog It! presenter Paul Martin. To the Manor Reborn will be broadcast later in the year. 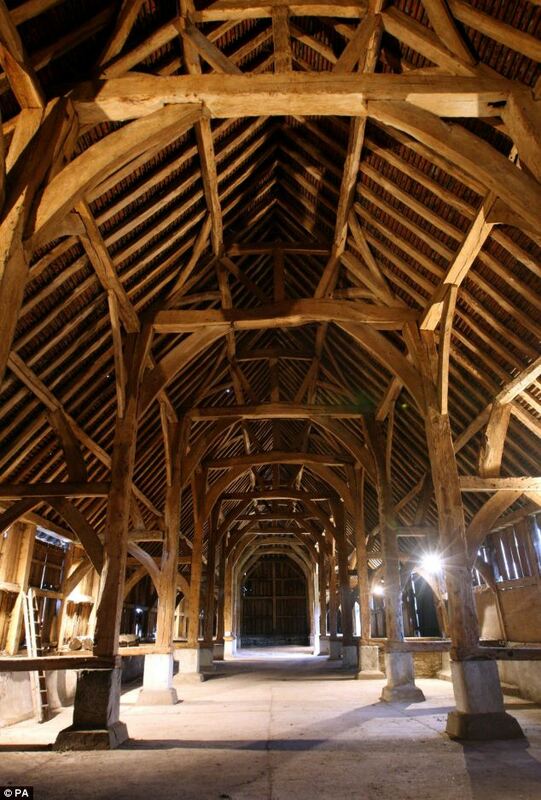 The series will follow the refurbishment of the 500-year-old property in Avebury as it is brought back to life. Teams of craftsmen, furniture makers and interior design experts will restore the interior of the Grade I listed house to reflect its long history. BBC One controller Danny Cohen said: “Our partnership with the National Trust on this ambitious project encapsulates so many of the BBC’s ambitions. Among the guests on To The Manor Reborn will be architectural expert Dan Cruickshank and gardener David Howard. 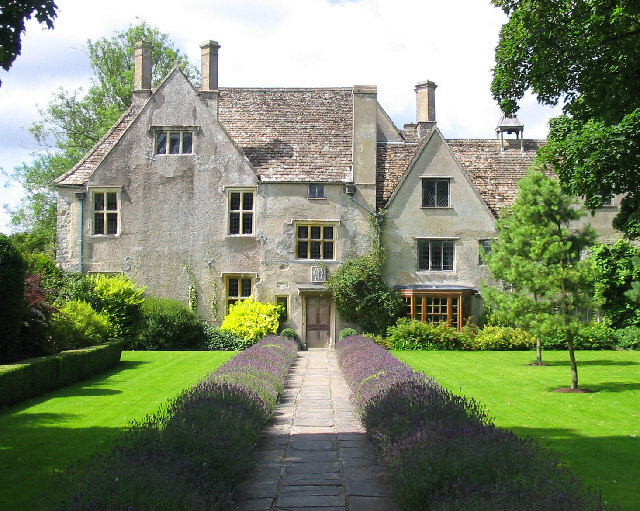 Avebury Manor will be closed for much of the year while the series is being filmed. It will be reopened as an “immersive experience” in the autumn. An establishment of monastic origins, the present buildings dates from early 16th century with Queen Anne alterations and Edwardian renovations. The gardens are of an Edwardian style and features much topiary.